This light, non-oily anti-aging cream is a genuine care for tired skin. It preserves your skin’s youth capital over the long term. 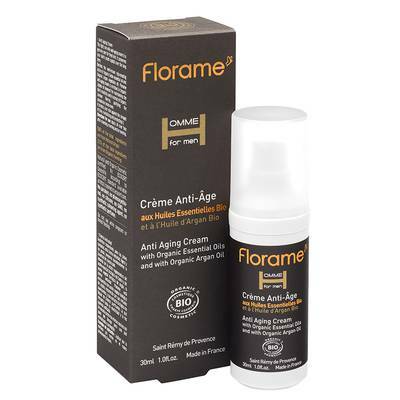 Besides the well-known rejuvenating action of Organic Cedar essential oil and Organic Argan vegetable oil, Florame anti-aging cream is enriched in Organic Jojoba oil deemed for maintaining the skin’s elasticity and in extract of Organic Juniper Berries, purifying; the complexion looks even. It protects your skin against the effect of time, revitalizing and protecting it.